The story of the turnaround industry is one of self-discovery and constant improvement. When the Turnaround Industry Network Conference began more than 15 years ago, most companies treated turnarounds as a necessary evil, something to be endured. But year after year, Industry leaders have gathered together in a vendor-free environment to share their stories of challenges, triumphs, and strategies for success. Today, turnaround management is a recognized discipline in our industry, and turnarounds are seen as an opportunity to be seized, one that can have a tangible impact on the bottom line of the entire enterprise. 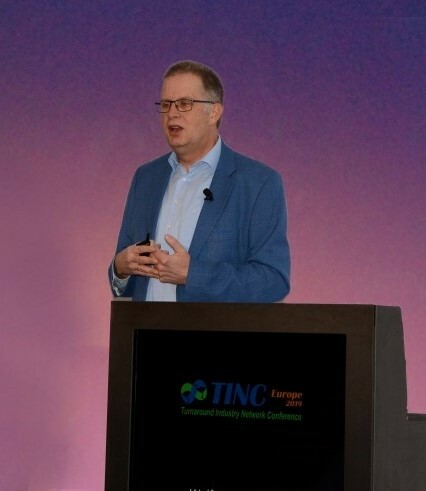 This year, Industry leaders from across Europe, the Middle East, and Africa gathered together once again at TINC Europe 2019 to tell the story of where Industry is headed next. 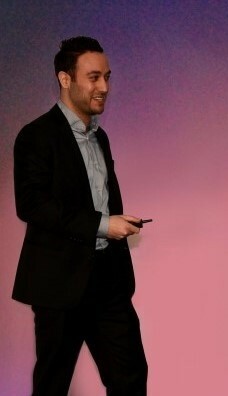 Wolfgang Klemmer served as this year’s Keynote Speaker. During his presentation, Wolfgang spoke about the journey that LyondellBasell has undertaken to produce Industry-leading results in turnaround performance. This journey began when LyondellBasell began to view turnarounds as a significant opportunity to generate value. Over the course of a disciplined, multi-year improvement effort, LyondellBasell noticed significant improvements. Wolfgang highlighted the need for continuous focus throughout the process, as performance can quickly deteriorate when focus is lost. Measures to improve communication and alignment amongst sites, the use of internal and external benchmarking and analytics, and a Senior Leadership that values turnarounds have been integral parts of LyondellBasell’s journey. Thashen Pillay was up next and provided attendees with an opportunity to explore benchmarks and trends throughout the industry. Thashen’s presentation focused on the practices employed in upstream and downstream turnarounds and how those practices correlate to turnaround readiness. Drawing from the AP-Networks Turnaround Database, which houses data from more than 1,800 turnarounds, he was able to show clearly what separates Industry leaders from laggards. The following presentation, delivered by Carl Breidy, continued to leverage the AP-Networks Turnaround Database to dive into Industry-wide turnaround performance, this time from a turnaround outcomes perspective. Carl presented on Industry trends in the areas of Safety, Environmental, Operability, Cost and Schedule Performance, and Cost and Schedule Predictability. In the morning’s final presentation, Jukka Kanerva took the stage to discuss how Neste uses Operations resources in the planning, preparation, and execution of their turnarounds. 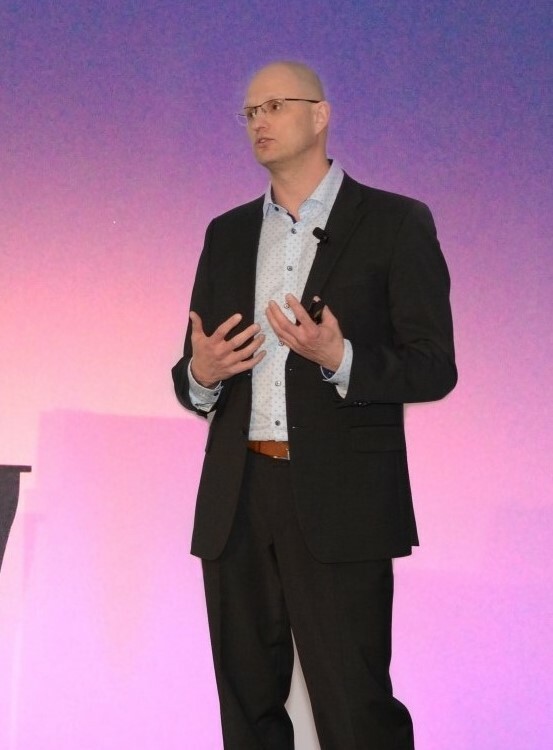 Jukka’s presentation offered Neste’s definition of the role of Operations—often an underutilized asset—in the turnaround effort, and provided examples of how Neste trains and staffs Operations resources. 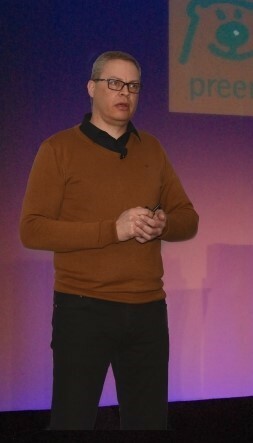 A key focus of Jukka’s presentation was ensuring that Operations can add to execution effectiveness, safety performance, and unit startup. Jukka highlighted the benefits of useful tools and procedures as a cornerstone of Neste’s success. 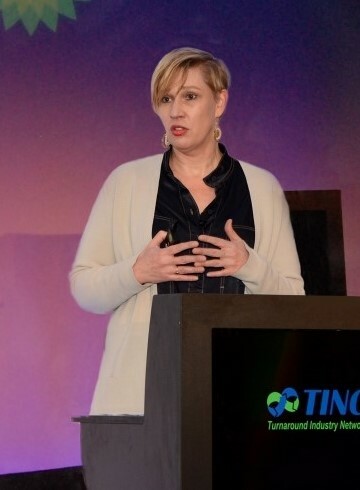 Hannelore Timmermans was able to energize the crowd in the day’s final presentation by highlighting the need to ACE (Align – Connect – Enable) turnaround communications. Hannelore shared how BP Rotterdam’s communication department instills pride in the turnaround effort by creating a turnaround identity and focusing on the people associated with turnaround planning and execution. A key focus of the presentation was the use of communications and rituals to build a cohesive team of BP and contractor resources who are focused and motivated to conduct a safe and efficient turnaround. For the second day’s opening presentation, Håkan Hermansson delivered a presentation on the challenges of obtaining execution resources at Preem and some of the strategies his organization has developed to ensure that high-quality contractors are onsite for turnarounds. Håkan presented an overview of the changing contractor workforce in Scandinavia and provided a case for having a well-defined scope early on. 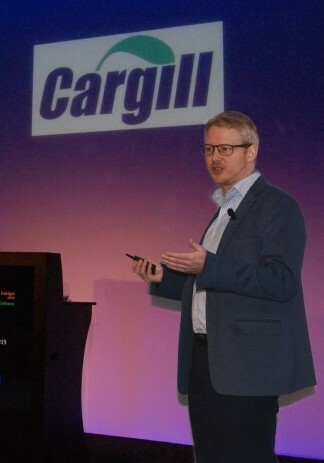 Simon Brown gave the audience an update of the journey that Cargill has undertaken to put in place Corporate Turnaround Governance, a topic that was introduced by AP-Networks at TINC Europe 2018. With a large number of sites across the globe, Cargill realized that there was not much of a company-wide focus on turnarounds. Simon outlined the steps taken to put standard procedures and processes in place in collaboration with the business units. It was a unique opportunity for attendees to gain insight from a non-oil and gas company and realize that the issues and obstacles that they face at their own sites are not specific to the oil and gas fields. 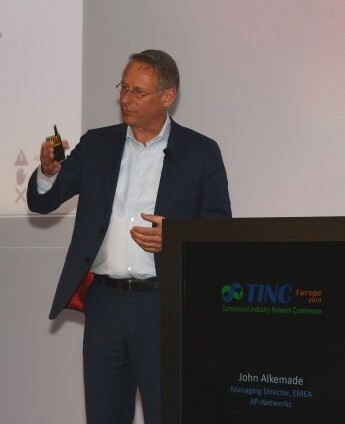 For the final presentation, John Alkemade provided an AP-Networks solution to a common Industry problem: the management and integration of plant-based projects into turnarounds. 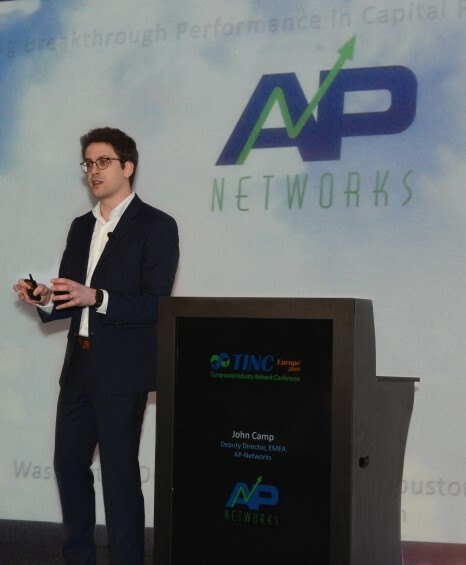 John outlined the major reasons why plant-based projects and turnarounds often run into difficulty, and showcased one of the solutions that AP-Networks has developed: an agile plant-based projects work process that uses the power of the Capital Project Network and is linked to the Turnaround Network by a new feature called iNTrack. iNTrack allows for Turnaround Managers and Project Managers to have greater visibility over each other’s progress and upcoming milestones, leading to more effective integration. Developing and Executing the Right Scope − What timing, tools, and scope selection best practices can be leveraged to achieve the optimal scope? Plant-Based Projects and Turnaround Integration − What are the best practices for integrating and delivering successful plant-based projects during the turnaround? Engaging Operations − Operations efforts consume 30% - 50% of turnaround duration. How to ensure Operations deliver during planning and execution? Avoiding Turnaround Surprises − How do you implement and successful risk management program to avoid surprises? Measuring, Understanding, and Driving Field Labor Productivity − Develop an Industry standard basis for quantifying the amount of work completed per labor hour used, and investigate Industry trends in turnaround labor productivity. Innovative Execution Practices: Leveraging Technology − Consider trends in the adoption of innovative planning techniques and advanced technology in relation to turnaround execution. Look for trends in turnaround outcomes that relate to innovative technology practices. Early Estimating and Estimating Practices − Help Industry improve business planning for turnaround costs. Study how early estimates are developed, the accuracy of early estimates, and practices that improve early estimates.